Are Smartwatches The New Sandwich Toaster? There is a theory that most sandwich toasters lie in the cupboard unused (I suspect that you could also include ice cream makers). A sandwich toaster is exciting (ish) for the first few months as you discover all of the random things you can shove between two bits of cooked bread. After that, it largely takes up space in the cupboard. It looks like smartwatches could go the way of the sandwich toaster. Someone recently told me that he had a Motorola smartwatch but didn’t bother wearing it. The watch was decent enough, but after a few months of use, he realised that there was little need for it. He wasn’t alone. A study in 2014 found that 50% of fitness trackers were left in the drawer. Smartwatches are not essential, core devices – whilst I can’t imagine leaving home without my phone, I don’t see any real inconvenience if I forget to wear my smartwatch. Sure, some people get addicted to them but a combination of the small screen size and limited functionality puts them in danger of being novelty items. Many commentators have pointed out that it’s the apps that will make or break adoption. Simply reducing phone apps to a mini screen is not going to hack it. 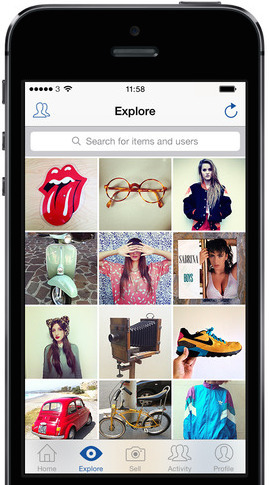 Developers need to think differently for a more personal, wearable channel. Without some killer apps, there’s a possibility that smartwatches will become a short-lived fad. With the impending delivery of Apple’s Watch, it’s certainly exciting times in the world of wearables. The company has been a game-changer with their phones and tablet devices. However, it remains to be seen whether they can make the smartwatch enough of a necessity that it doesn’t end up languishing in the cupboard next to the sandwich maker. It’s a pretty safe prediction that iBeacons, Apple Watch, drones, 3D printing and VR will continue to receive a considerable amount of hype next year. Who knows, someone might attempt a Crowd Sourced 3D-Printed QR Code Live Streamed Via Go Pro for real? A combination of cheap computing, rapid prototyping and new funding will bring many more gadgets and connected devices. All very exciting, but what’s hype and what’s actually interesting? – Beacons. They will not save retail . 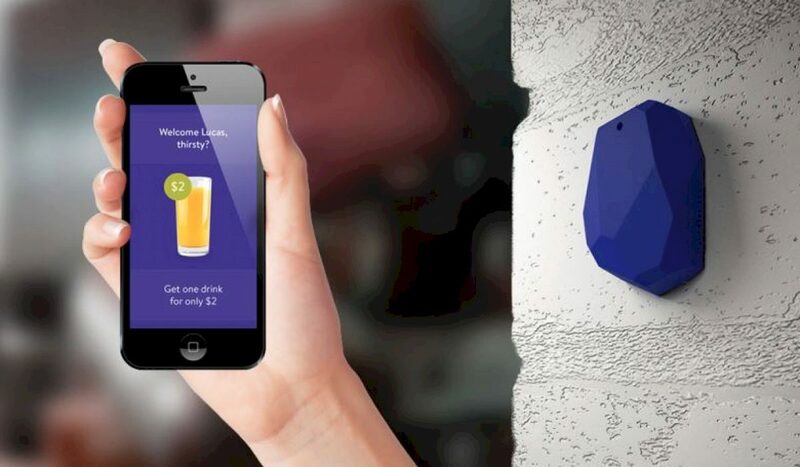 In some unsurprising news, a study in 2014 found that consumers think beacons are largely annoying. There are some opportunities where the technology can offer a good solution to problems. The (award winning) Nivea Protection wrist band is a good example of where this type of technology works well. Is anyone really interested in beacons? – Smartwatches will not simply have to compete in the tech space – they also competing in the fashion accessories market. So consumer choice is not simply about functionality but also about image and style. – Brands may try, but wearables are probably not a place for advertising (although Indian Company, Techsol have announced a wearable ad server). For brands, it’s isn’t simply a matter of down-sizing for a smaller screen – they will need to consider the whole engagement. – AR/VR in the form of Google Glass and Oculus Rift will remain as essentially prototypes. There are specific industries or applications, such as medicine, that will benefit but this does not make them mass market. – Messaging channels – What’sApp/Line/WeChat will continue to grow in place of SMS. Visual messaging through Snapchat and Intsagram will also see growth, especially with a younger audience. Significantly, Instagram’s user base overtook Twitter in 2014 – perhaps the latter has reached its peak. – For brands the challenge in social is an interesting one. Users, especially younger demographics, are switching channels rapidly. The role of Facebook and Twitter as content channels will be less important. In fact, some are already predicting the demise of Facebook. Whilst brands would do well to focus their attention on delivering service in messaging apps, although they will probably struggle to get the attention of a younger audience. – As home screen notifications/replies become more common, we will see fewer app openings. That’s a problem for the likes of Facebook, but it’s also going to be a challenge for brand advertising. What’s the point in buying ads in an app if it’s not going to be opened? – Peer to Peer Payment is set to grow in 2015. Barclays PingIt is a (rare) good example from a brand – it has become their largest channel for new customer acquisition. My money is on the third party providers though. P2P creates opportunities in the startup space, as demonstrated by the excellent Droplet. My guess is that’s where the success will be and brands/corporates will be playing catch up. Here’s a few trends that might be interesting in 2015. The Internet Fridge. Something not to get excited about in 2015. Or ever. Earlier this year the picture below was trending on Twitter, with the ironic statement (and I paraphrase) ‘What on earth is this guy looking at? The World or something?’. It looks like we’ve become a society of phone zombies. Instead of engaging in conversation with our friends or family, it seems we are constantly distracted by our smartphones. As if proof were needed, a recent IPSOS study identified this trend. They surveyed 16,000 people in 20 countries and 60% of them agreed that they were ‘constantly looking at their screens’. In the UK though, 71% said they were glued to their phones (second only to China). Perhaps our zombie behaviour is best summed up by Buzzfeed’s, 23 Pictures that Prove Society is Doomed. This phenomena doesn’t just impact on our social lives, there are other risks. One cyclist, writing in London’s Metro paper, explained that phone zombies were the most frequent hazard she had to contend with. Maybe in the future our smartphones will need proximity sensors to alert us of traffic hurtling towards us. Is the phone zombie good or bad for marketing? A decent ad person would spin the problem into an opportunity. For example, we reach for our mobiles within 15 mins of waking and check them up to 150 times per day. That’s a lot of marketing opportunities. But perhaps, just perhaps the best thing we can do is to help society act a little less like the living dead and occasionally speak to other people. The Brazilian beer brand, Polar tried to do exactly that. They created the phone nullifier. A bottle wrapper was able to block the phone signal for anyone within a few feet, thus nullifying the phone zombies and ensuring that people enjoyed their drink, whilst conversing with their real friends. Arguably though, the phone zombie could be seen as a natural behavior. Humans, especially the younger variety, enjoy media that distracts us from the real world. The Victorians complained that young people spent too much time reading books. Television and video games have constantly been blamed for corrupting teenagers. Perhaps the phone zombie is just another example in a line of media distractions. Before smartphones, commuters were hiding behind newspapers on their journey to work. 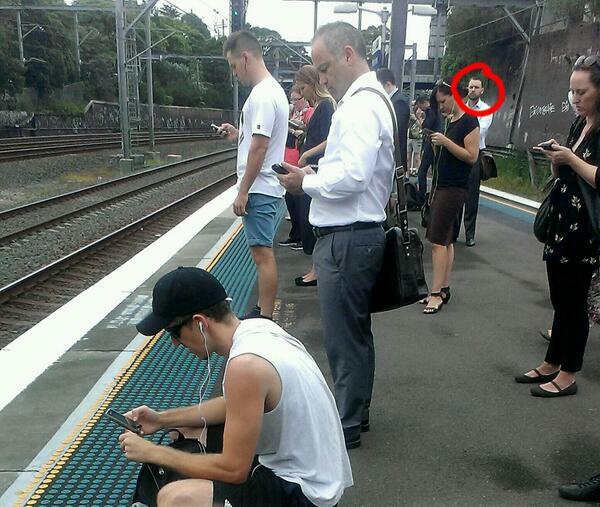 And maybe the only reason the man in the picture is looking at The World was because on that day, his battery had died. Whilst some are calling the Apple Watch a game changer, many tech observers have missed the point. The Apple Watch is a fashion accessory and it makes Apple a fashion brand. Whilst previous products from the iPod onwards have had a lifestyle element to their branding, the watch puts Apple firmly into the fashion accessory market. The industry bible, Women’s Wear Daily pointed out that Apple’s real competition is not from other tech providers such as Samsung, but the from the mid-range watch manufacturers such as Swatch and Guess. Both of these companies are developing their own products due out within the next 12 months. Apple understand the importance of being a fashion brand. They have made significant hires from Burberry and Gap, not to mention the addition of leading designer Marc Newson. A number of fashion and watch journalists were invited to the launch event, which further demonstrates the importance of the sector to Apple. An interesting take on the Apple Watch came from HSBC Research who looked at the market for the product in China. They pointed out that luxury watches are bought not to tell the time, but as a status symbol. Is the Apple Watch a sufficient status symbol for that market? They pointed out that the most significant market in this area were as gifts. On that basis, Louis Vuitton or high end sporting goods are competitors as much as watch brands. Perhaps that is Apple’s biggest challenge. Whilst smartphones are (arguably) an essential item, the Apple Watch is not. As an accessory, watches are replaced much less frequently than smartphones. Whilst there is clearly a market amongst the early adopters, does it have what it takes to compete in the higher end accessories market? Understanding the retail challenge, Apple announced that the Watch would be available in selected retailers such as Galeries Lafayette in Paris, and Selfridges luxury hall in London. One thing that is in Apple’s favour is that they’ve created a product that has watchmaker’s credentials. The Hodinkee watch blog declared the Apple Watch to be a bona fide time-piece, from the overall design, through to the straps, the astronomy face and the rotating crown. The review makes a convincing case for the Apple Watch as a genuine watch. Following the official launch in March 2015, commentators generally agreed that the Watch meets the stylish credentials that consumers are looking for. However, the watchmakers blog pointed out after the launch, Apple will not be in the high end $17,000 Edition, but rather, from shifting a large amount of $500 mid-range watches. It’s not just the existing watch makers – brands from Motorola to Huwei have also launched equally attractive smart pieces. This is not the first time that Apple has entered an existing market saturated with products. Aside from the brief partnership with Motorola, Apple had never launched a phone before the iPhone. However, when it comes to smartwatches, in spite of some predictions, as the tech analyst Benedict Evans points out, no one really knows the answer. The ultimate questions is whether Apple brand is sufficient to drive the large scale adoption that the company is hoping for.